Native to Australia as the name suggests, this hybrid is a cross-breed between the Australian Cattle Dog, also known as the Blue Heeler, and the Border Collie. This dog is also noted to be the only dog with dingo heritage, and both its parents provide the wild, energetic trainable personality that it has. In order to understand why the Australian Cattle Dog behaves the way it does, it’s important to understand its history, origins and background. Where did the Blue Heeler Australian Cattle Dog come from? The Blue Heeler finds its origins in the early 19th century, when farmers began to breed the native Australian dingo with collies, in order to form the perfect herd or cattle dog. Because of the resilience and hardworking nature of both the collie and the dingo, the mix bred a dog that adopted both these characteristics as well as an energetic highly intelligent pup who is easily trained. Here are 8 major features of the Blue Heeler/Australian Cattle Dog that’ll be sure to let you know if its the right pup for you. They are the most intelligent and easily trainable. – Blue Heelers have been known more popularly for their ability to learn at an extremely quick pace, which in turn makes them easily trainable. This is one of the best features of this dog, but it also means that they are unsuitable for certain environments such as small apartments. Because of their highly energetic feature and their spectacular learning abilities, these dogs need to be kept active and placed in mentally as well as physically challenging tasks to prevent boredom. They come in a variety of different shades and colours. – Blue Heelers are marveled at for their wide range and shades of colours, but a little known fact is that the Blue Heeler is born white. Colours and patterns begin to develop after birth, and their features can be strongly distinguished by about 6 weeks. The 2 most prevalent colours of the Australian Cattle Dog are blue and red. Blue dogs are normally blue speckled or blue mottled with or without black, brown or white marks, while red dogs are normally more equally speckled with solid red markings. They are very active. – An important feature about the Australian Cattle Dog is that they will need to be kept very active and mentally challenged. 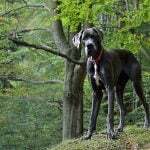 This feature is inherited from both their parent breeds, both known to be inherently wild, energetic and very active. As a pet, they require daily walks of about 1 – 2 hours, which can be very time consuming for their owner. This makes them ideal for large families, ranches and farmers, as they also get along with a variety of other animals, including cats. They require low to average grooming & maintenance. – In this instance, the amount of grooming from low to average depends on the parent that is given the most influence to your dog. This hybrid naturally sheds, meaning that it will require brushing at least once per week. Most Blue Heelers produce a natural oil that keeps their fur from drying out, and frequent bathing will significantly reduce this oil. This means that these dogs don’t require as much baths as the average dog. Like other pups, Australian Cattle Dogs also require regular dental examinations to prevent tooth loss. They have a very long lifespan. – Australian Cattle Dogs have a very long lifespan, living in ranges from between 11 years to as long as almost 16 years. Many would agree that this is one of the longest lifespans of all species of dogs, which makes these Blue Heelers perfect for the young and growing family. 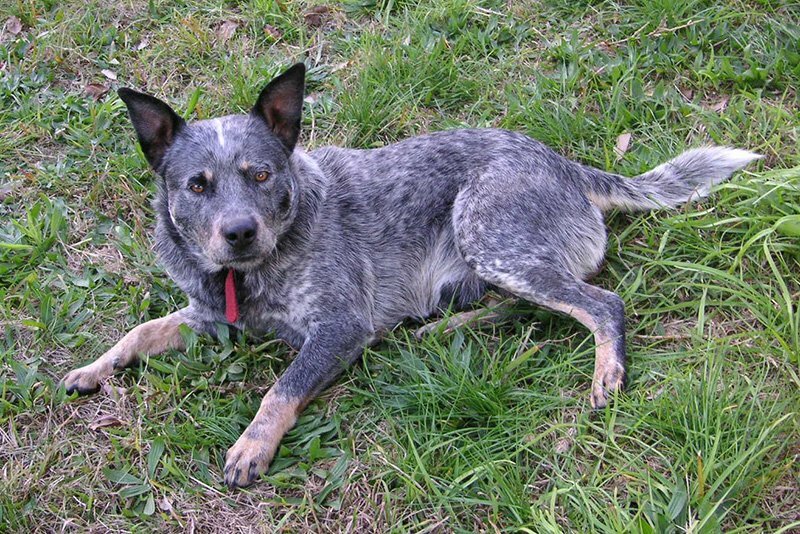 There is even a record listed in the Guinness Book for Bluey, an Australian Cattle Dog that lived almost 30 years. While this is not an indication of the length of life of the average Blue Heeler, it’s certainly an exceptional record. They do have notable health concerns. 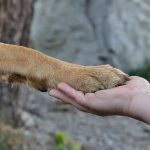 – While the pros of getting an Australian Cattle Dog far outweigh the cons, a major disadvantage is their ability to have a variety of health concerns. One of the major health issues of Blue Heelers how prone they are to deafness. This is reportedly linked to a production of recessive piebald alleles that makes both the coat and skin of the pup become white. These genes can be found in a majority of Australian Cattle Dogs and are normally hereditary. Blindness is also a condition that is prevalent in many Blue Heelers due to their genetic disposition. Their temperament. – While their energy levels are known to be extremely high, what many owners tend to overlook is their very active mind. Because these pups were bred specifically to herd cattle, they need a job to do that keeps them physically active as well as mentally challenged. Their reserved demeanor around new people may be preferable if you’d like to train your Australian Cattle Dog to be your personal watchdog or guard dog. Their personality requires companionship, a lot of exercise and a lot of training. They are very suitable for dog shows. – Because of their agility, high energy levels and their intelligence, these dogs are one of the best species for training to participate in events and dog shows. Structured activities and training may be one of the best things for your Australian Cattle Dog, as it’ll provide a mentally challenging activity for your dog to compete in. The only disadvantage when it comes to their participation in certain structured activities is their short legs that limit their abilities to jump over certain heights. Apart from their stature, these Australian Cattle dogs make the ideal and perfect contestant for any dog show and structured activity. There you have it, 8 major features to help you decide if the Australian Cattle Dog is the right fit for you or your family. Despite its health concerns and its high activity level, this could be the ideal pet for you. It’s important to note that cooler climates may be more suitable for your Blue Heeler, as the thickness of his coat makes him highly adaptable to cold conditions. Happy Dog Hunting! Dog Breeds with Blue Eyes - Absolutely Stunning! 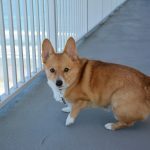 Pembroke Welsh Corgi – How To Raise A Happy Healthy Pet!